Scott and Sharon with 2 of their girls. 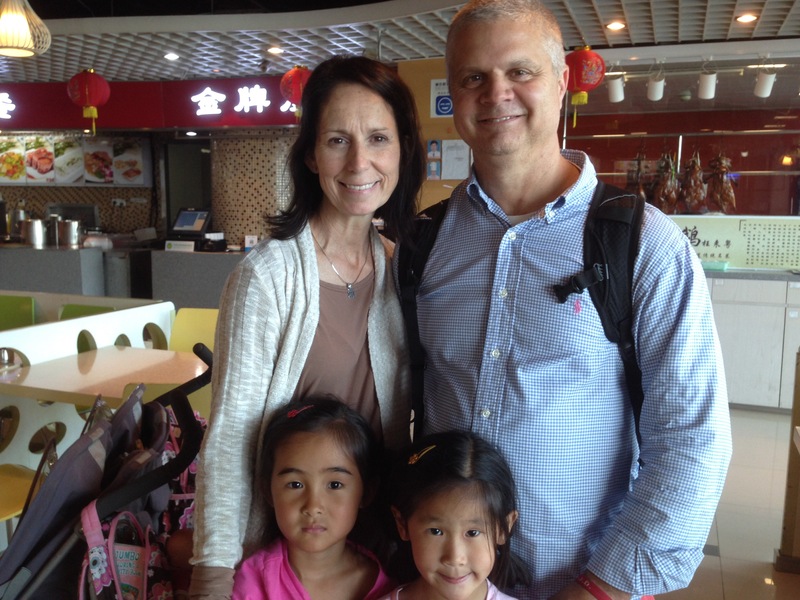 Sharon told me that it’s because tomorrow they are adopting their 7th child from China. Which will make their 10th child total!! 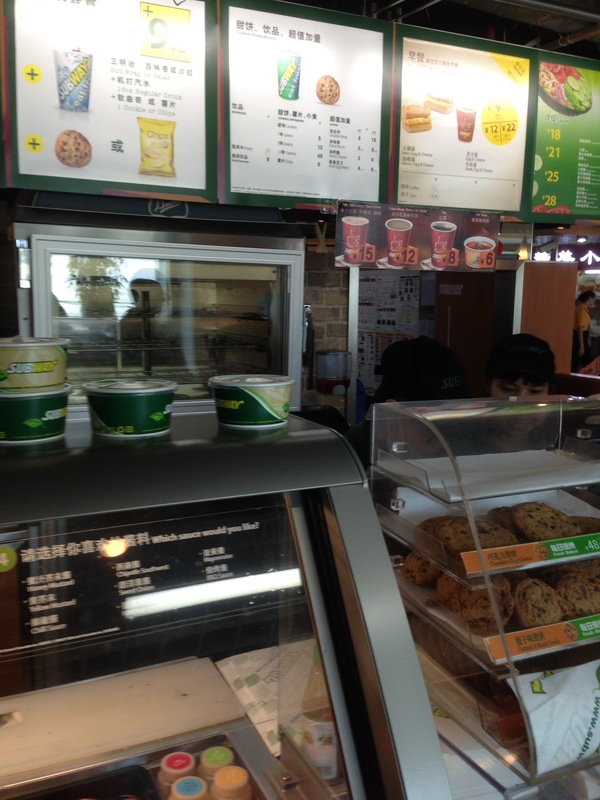 We enjoyed “breakfast” at subway together during our layover. We have many questions and it’s such a gift to have them to learn from. What a Gift from God to have this family to share the next two weeks with. We both pick up our little ones together tomorrow at the same time and place! < Previous We made it to Nanning! Just another gift from our Almighty God, Cathy!! These are the friendships that have a bond like none other! It is a priceless gift and I fully believe God timed it perfectly so that you could be together. Our friends from Ohio who adopted 2, 5 year old boys when we adopted Joy are coming in three weeks to spend a week in our home. I am so thankful to hear this from you!